By mid-September in Maine, fall is in the air and the garden is winding down. 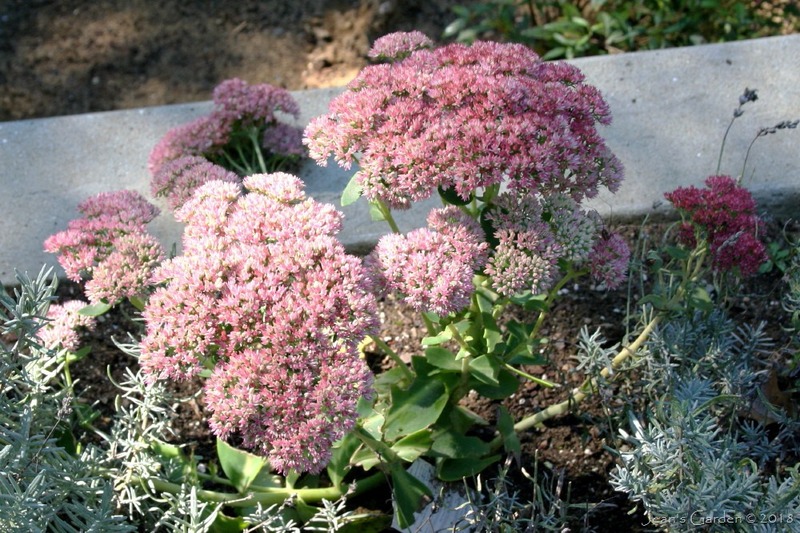 High summer’s riot of colorful blooms has been replaced by sparser flowering and plants with an overgrown, seedy look. The stars of this late-season garden are the members of the family Asteraceae, all those late-blooming composite blooms with their characteristic combination of disc and ray flowers that are such an important food source for bees at this time of year. The flowers for which this family is named, the asters, are just beginning to bloom in my garden. First up are the flowers of stiff flax-leafed aster (Ionactis linarifolia), a native wildflower volunteer that I have transplanted into the garden. 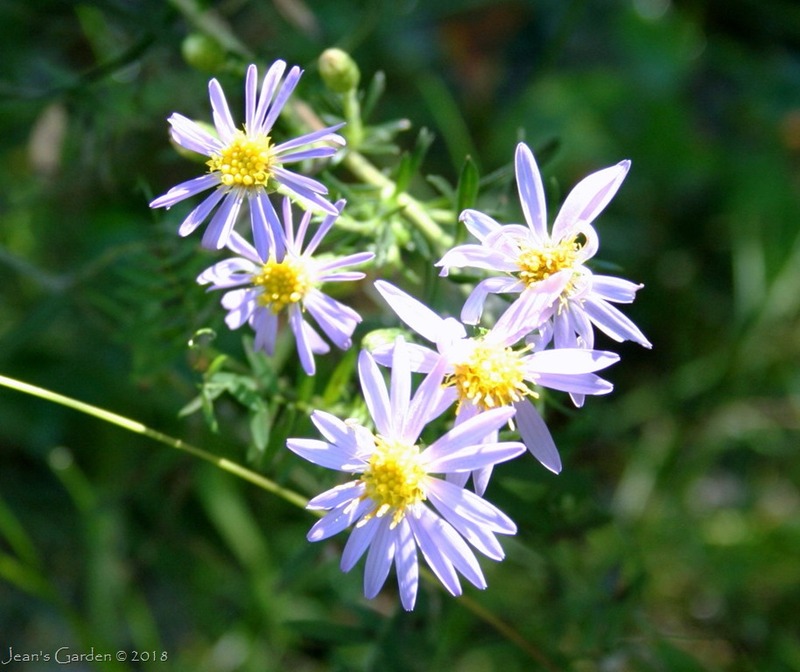 Other species of aster will follow. Alas, these will not include the flowers of New England aster ‘Alma Potschke’, which have all been eaten by the resident woodchuck. 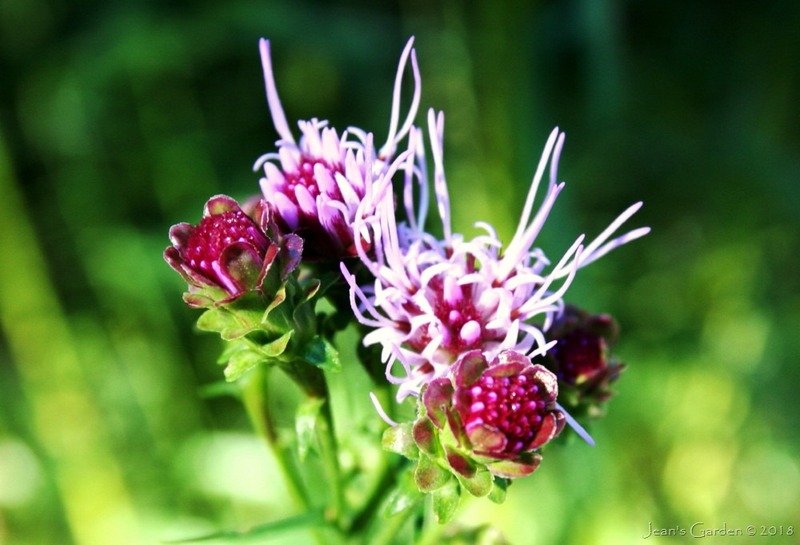 The asters have been preceded in bloom by their cousins, the goldenrods. I’m not sure which Solidago species, with golden inflorescences made up of tiny disc and ray flowers, is currently blooming along the dirt road at the front of my property. 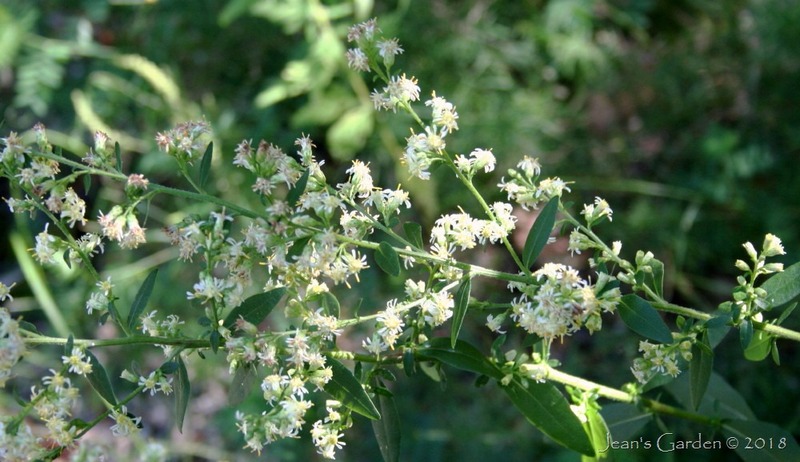 Much easier to identify is silverrod (Solidago bicolor), which seems to be flowering especially profusely this year. 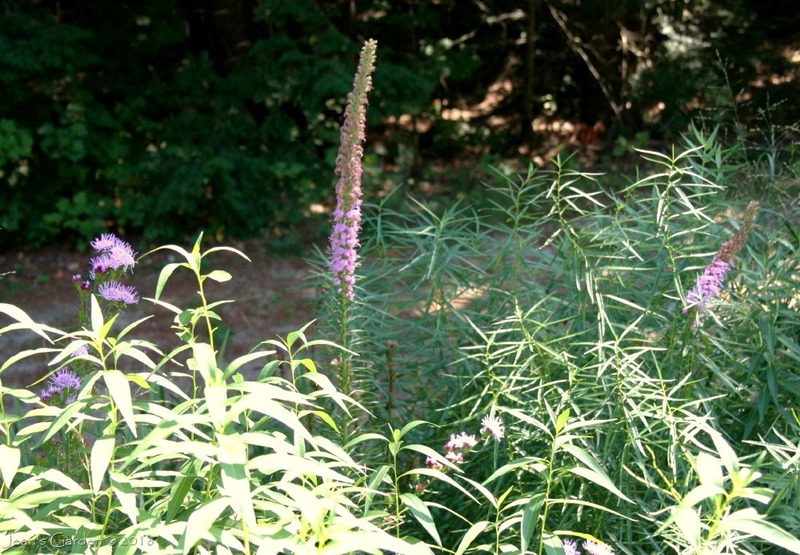 Three different species of blazing stars (Liatris) provide a dramatic display in my side slope garden as they bloom in succession in late summer and early fall. 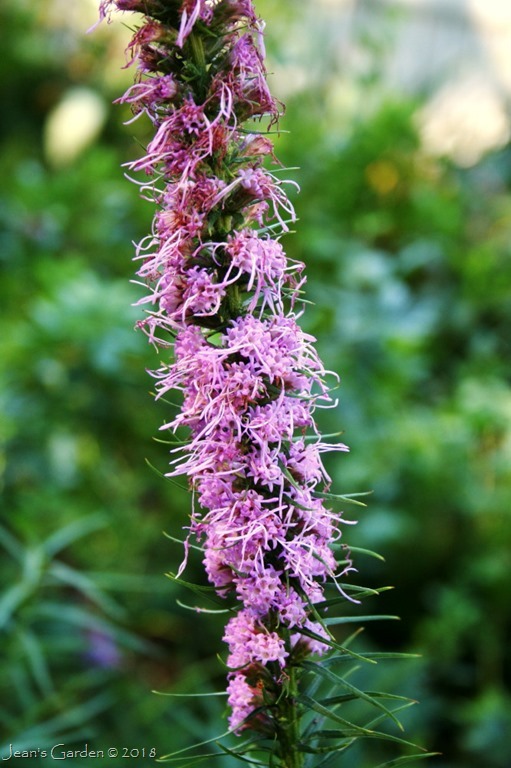 Currently, the tall spikes of Liatris aspera are nearing the end of their bloom, while the flowers of Liatris novae-angliae have just begun. Other members of the Asteraceae family have been blooming in my garden for many weeks. 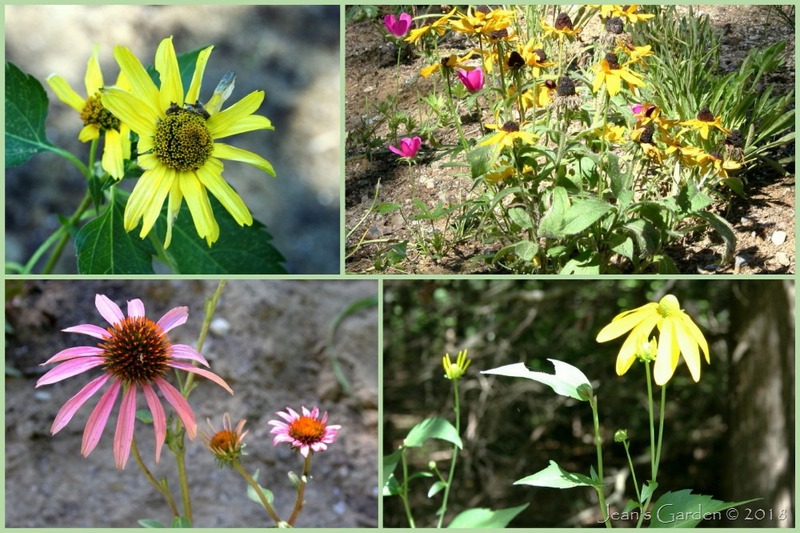 These include purple coneflowers, rudbeckias, and false sunflowers. 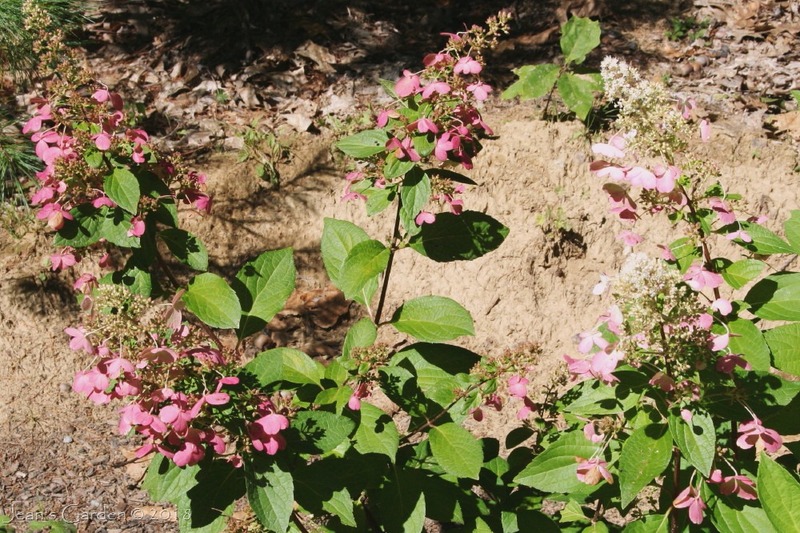 Not all my September blooms are part of this important botanical family. 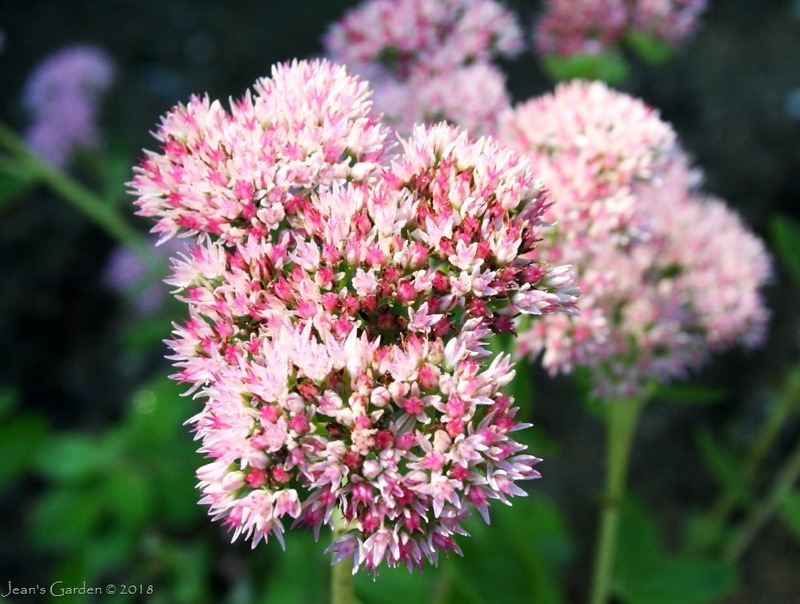 Sedums are also prominent at this time of year. ‘Matrona’ is blooming in the back garden, and ‘Autumn Joy’ and ‘Neon’ are blooming along the Lavender Walk in the front. 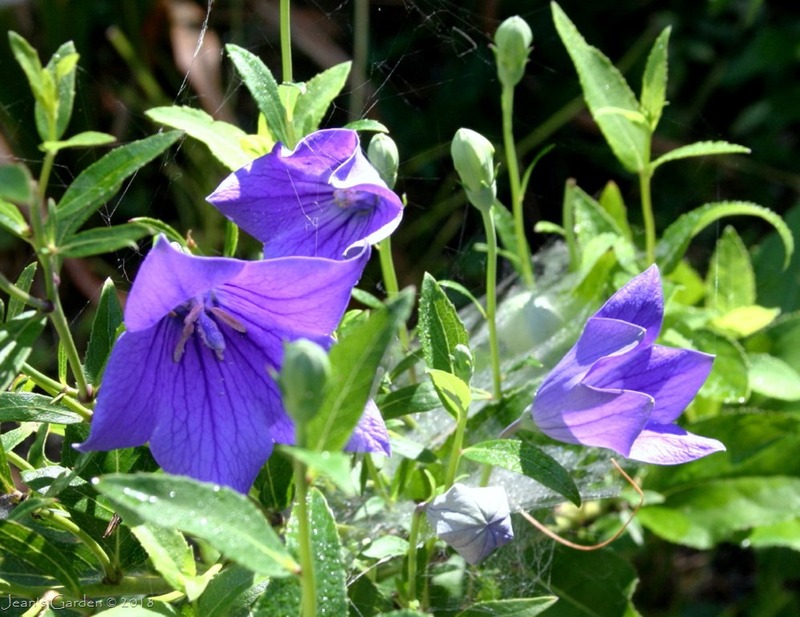 There are many other flowers providing pleasure in the September garden. 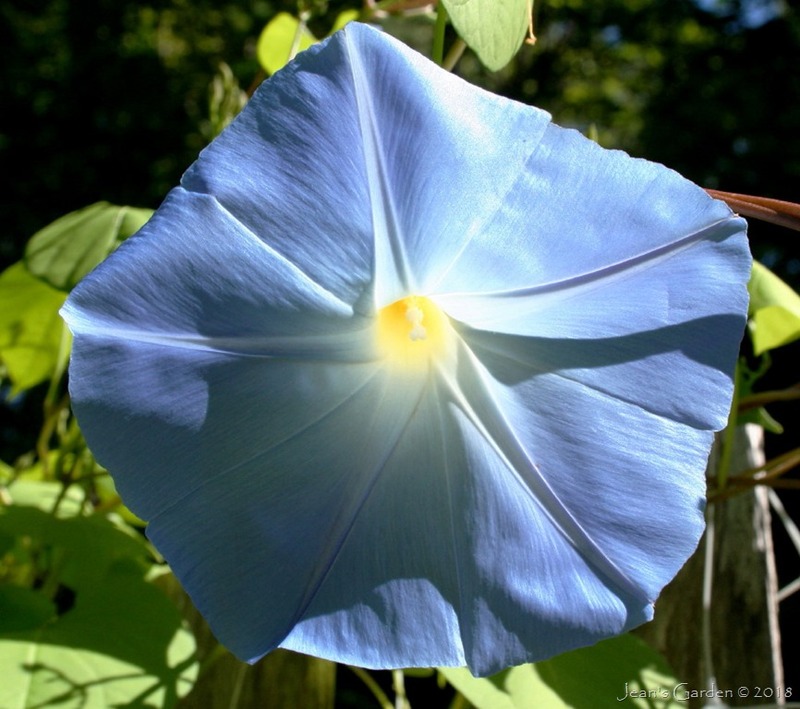 and morning glories (Ipomoea tricolor ‘Heavenly Blue’) have just begun to open on the garden fence. 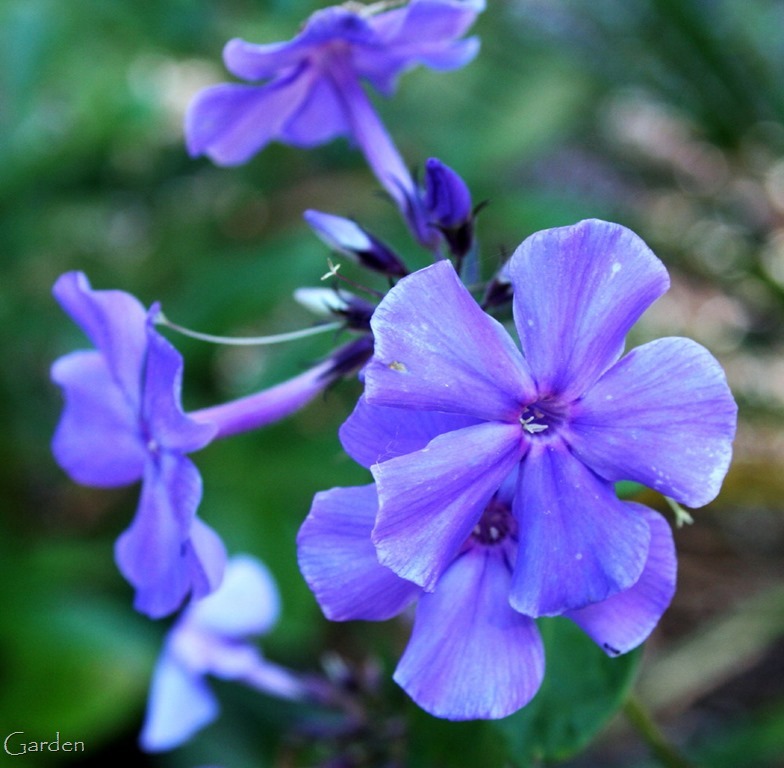 Here and there, flowers of Phlox paniculata have escaped the attention of the woodchucks. and an occasional rose bud opens. Garden Bloggers’ Bloom Day is a celebration of flowers hosted on the 15th of each month by Carol at May Dreams Gardens. 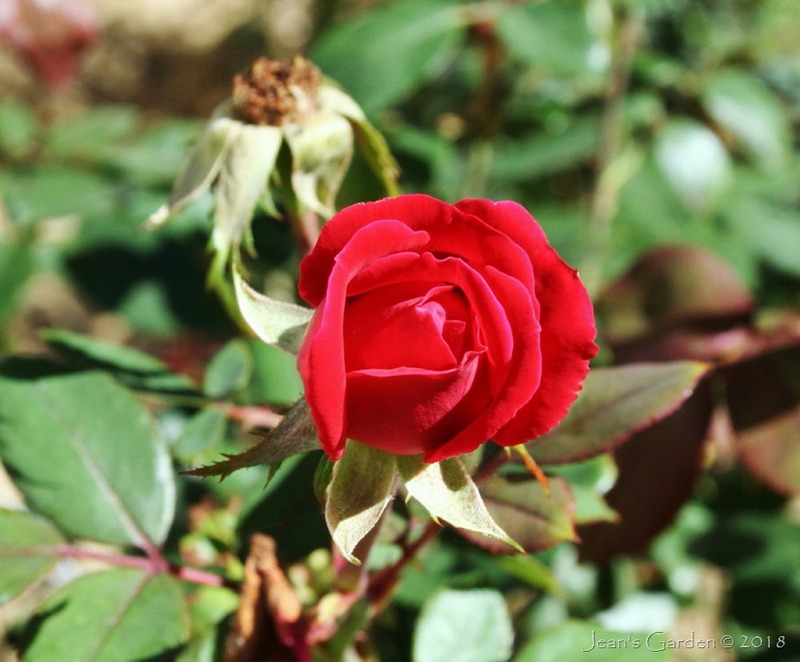 Visit her blog for a taste of the wonderful variety of flowers blooming at this time of year in gardens around the world. It seems everyone posting for GBBD can grow coneflowers but me! I keep trying and trying. Lisa, It’s always frustrating when you love some plant that just won’t grow in your conditions. I tried to grow achillea for years, and they never survived for a second year. Finally, I resigned myself to the fact that this just wasn’t a plant I could grow in my garden. I have never heard of Silverrod before – very interesting! 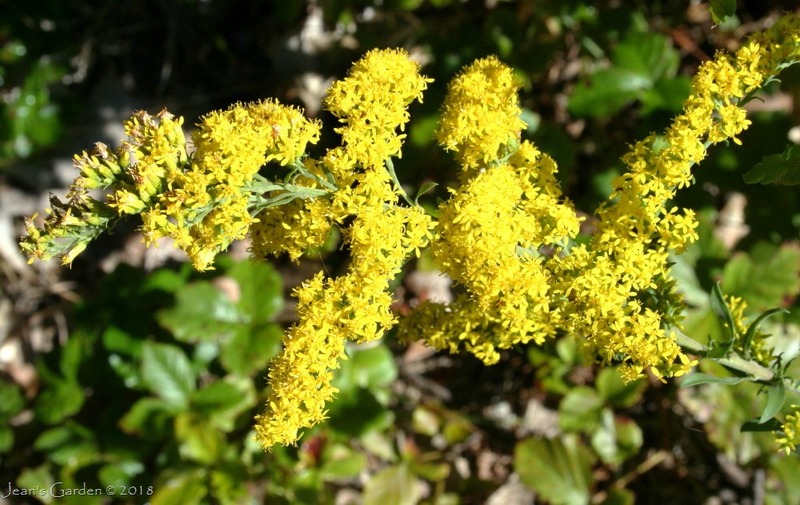 Lea, silverrod is the more subtle, least known cousin in the very large Solidago genus. I love the fact that it grows so prolifically on the edges of my garden. Your blog is delightful! Great notes. I guess these flower clusters are also favorite of butterflies, though i haven’t observed as i dont have asters. But they normally like those forming umbels. Have you observed them flying and nectaring by? Andrea, I’ve seen butterflies nectaring on the Liatris and the Echinacea, but not so much on the asters. I planted lots of New England Aster (Symphyotrichum novi-angliae) this year, so I'll have a chance to observe if large masses of them blooming in fall attract butterflies. Diana, It is, which is why I keep planting these annuals each year even though they barely bloom before the first frost (which, because they are tropical vines, kills them). This year, we’ve gotten to the end of September without frost, so I’ve had lots of time to enjoy them. 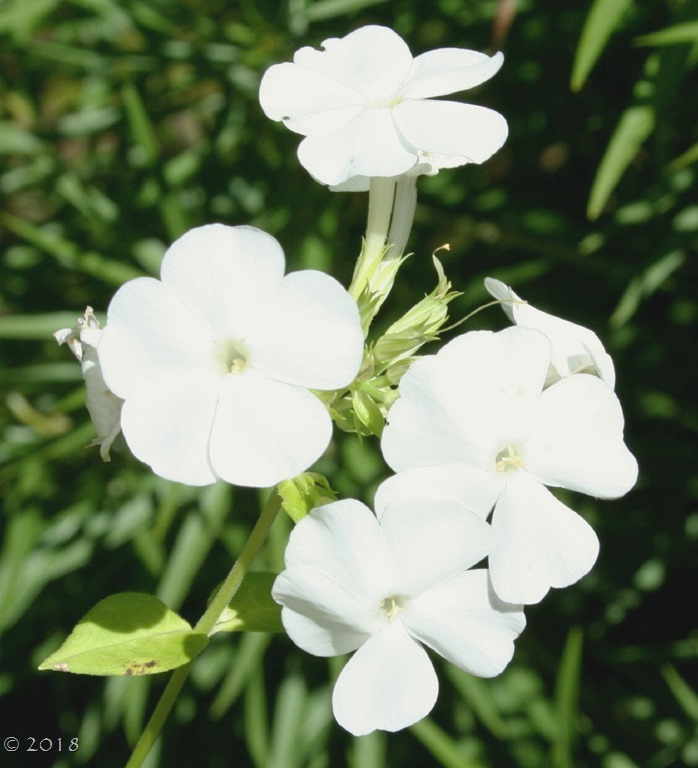 The flowers, which only last a few hours in hot weather, also last longer in the cool fall temperatures. Special flowers indeed, I have to agree with Diana, the (Ipomoea tricolor ‘Heavenly Blue’) certainly caught my eye. Alistair, This is one of those blue flowers that are a deeper, intense blue on cold mornings, fading to sky blue as the temperature rises. 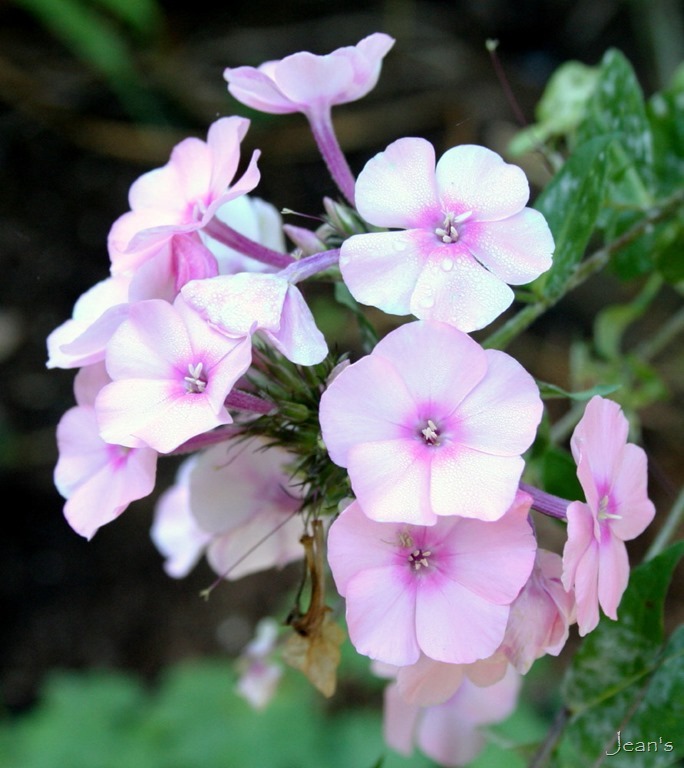 As the flowers begin to fade, the star pattern in the center turns pink. They really are lovely. I am Jean Potuchek, a professional sociologist, retired college professor, and amateur gardener who loves flowering perennials. I garden in East Poland, Maine (USDA zone 5a/4b). Some posts also focus on a small garden I kept in Gettysburg, Pennsylvania (USDA zone 6b) where I used to teach and live part-time. 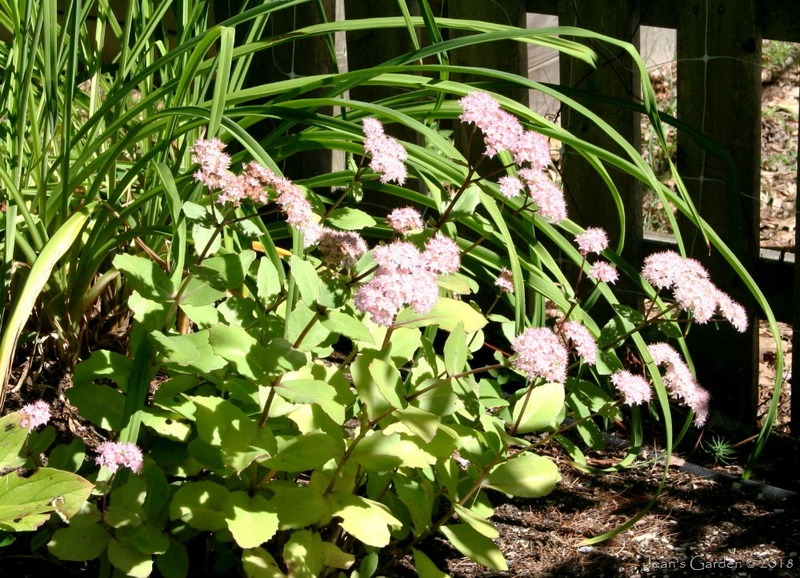 Since my retirement, I've been deepening my horticultural knowledge by becoming certified as a Master Gardener Volunteer and by earning a Certificate in Native Plants and Ecological Horticulture from the Coastal Maine Botanical Gardens. In this blog, I draw on my gardening experience as I reflect on my own garden, make observations about gardens I visit, and review garden books and garden blogs. Occasionally, I use the lens of my sociological training to consider the social meaning of gardening and to observe the community of garden bloggers. This is my space to share my passion for gardening. Please join me! You can see a caption for any image by holding the cursor over it, and you can enlarge the image by clicking on it.